In other words, in multilateralism, China can buy goods or products from any country, not just US alone. Like that, trade deficit of US cannot reduce liao. IMF is controlled by USA. Not the other way round. This IMF multilateralism advice is not working to Trump's advantage. Now Trump wants China to buy more from US to cut down US trade deficit. 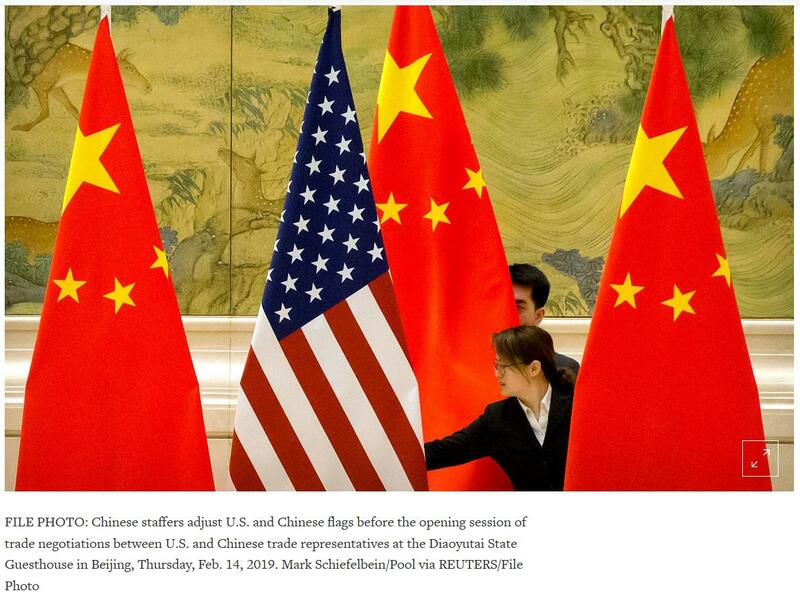 US only want China to buy more of those big ticket items such as Boeing jets and oil that China pay tens of billion $. If China buy from Boeing, French competitor Airbus will loose out.The same for oil, if China buys more from US, other countries that also sell oil such as Russia Saudi, Iran, etc will loose out. These other countries will not be happy. They may sign the trade agreement. Will they really buy from each other? jahtl said: They may sign the trade agreement. Will they really buy from each other? China is already in surplus in trade with US. Chinese made goods are essential household items. The problem is US wants China to buy more from US. What US made are high tech products + oil + farm produce. They are high value and China can have alternative suppliers from other countries. So in a trade war, China can opt not to buy eg soy bean and other produce. Even oil also can be bought from Russia, Middle East, etc. But the problem is even high tech products sometimes US banned them from selling to China. So if China did own research and made themselves, sorry for US lah. polanski said: IMF is controlled by USA. Not the other way round. WTO and IMF will only side with winners.simple.or no monetary gains . Blin said: WTO and IMF will only side with winners.simple.or no monetary gains . WTO is a bit different. USA has no veto power in WTO. But in the case of IMF, USA has veto power. Current time: 22-4-2019, 4:54 AM Powered By MyBB, © 2002-2019 MyBB Group.